You really can’t get any better than the South when it comes to delicious food. Mississippi is home to some of the best barbeque, scrumptious hamburgers, and hearty breakfasts in the United States. Whatever your heart desires, the Magnolia State can deliver. Here are the 15 best restaurants in Mississippi. Affectionately known as "The Dip" by locals, this walk-up burger stand is a real treat. According to their website, they've been in business since 1947. With a history like that, you know it must be good. Choose from over 20 gourmet burgers, ranging from the familiar to the truly experimental. Only the most adventurous try the Peanut Butter Burger! But the real attraction here is the ice cream. Velvet Cream offers more than 240 flavor combinations in almost any form you can imagine from shakes and cones to Italian ices and slushes. Memphis BBQ Company was founded by the "Winningest Woman in BBQ,” Melissa Cookston. According to MBBQC's website, she has won thousands of awards and 10 World Championships. Since opening in Horn Lake in 2011, Memphis BBQ Company has been so successful that it has since expanded to three locations. Customers love the complimentary fresh-made pork rinds, and the pulled pork, brisket, and cheese fritters are all top sellers. Visiting Phillips Grocery in Holly Springs is like going back in time. Read the menu and you'll learn that the restaurant began as a saloon in 1892. They became a grocery store in 1919 and began serving food in 1948. Locals will tell you that if you visit Phillips Grocery, you have to try their famous burgers! Latham's Hamburger Inn has a long history in New Albany. According to the history on their Facebook page, the restaurant began as Stagg's in the 1930s and has been in its present location since the 1970s. Today they still use the same cast iron skillet to fry their dough burgers, which are a unique blend of meat, spices, and dough that give their burgers a one-of-a-kind texture. Be sure to bring cash as cards aren't accepted. Weidmann's is a uniquely Southern blend of fine dining and comfort food, and there's a reason they've been in business since 1870. Using only the freshest food and proven recipes, Weidmann's is the place to try if you're in Meridian. Each table is set with a homemade crock of peanut butter, which according to the website dates back to a butter shortage during World War II. For over 25 years, the Magnolia Grill has been a favorite in Natchez. Their website says that the restaurant was built to look like the saloon that originally inhabited the land. The glassed-in deck provides beautiful views of the Mississippi River all year-round. Enjoy everything from steaks to seafood, but the Samburger is one of the top picks for locals. With a slogan like "Lard Have Mercy!" you know this place has to be good. This is one of Oxford's most popular spots, and they're only open for breakfast and lunch so be prepared for a wait. It's worth it, though. Both breakfast and lunch are served all day, and there are plenty of options to make everyone happy. If there's one thing you know about dining in Mississippi, it's that you're going to find some good soul food. Two Sisters is the best around, specializing in classic favorites done right. You won't find better service—or fried chicken—anywhere around. According to their website, Mayflower Cafe claims to be the birthplace of a Mississippi staple—Comeback Sauce. This delicious dressing pairs with almost anything. The Greek-inspired seafood and steak restaurant has been in Jackson since 1935 and is still going strong. Need a recommendation? The owners suggest the redfish! Residents of the greater Jackson area know that Shapley's is the premier destination for a fine dining experience. Patrons love the ambience almost as much as the food. 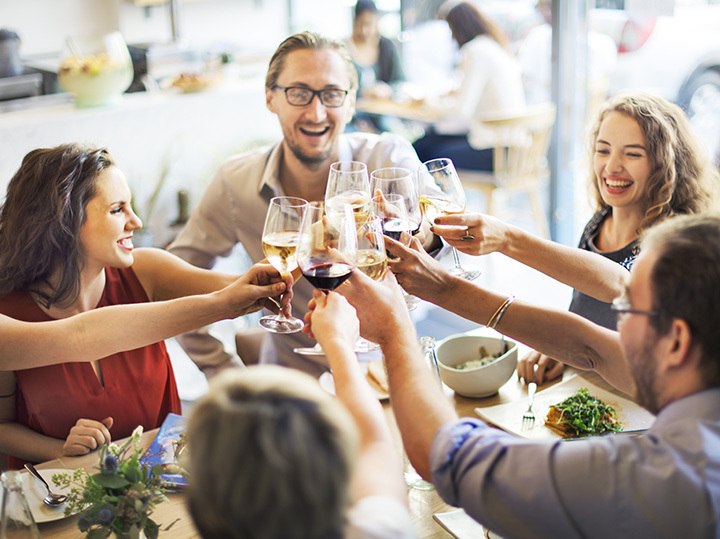 Shapley's is a regular on Wine Spectator magazine's "Award of Excellence" lists, so be sure to ask your waiter for suggestions of which wine to pair with your food. Be sure to come hungry to The Old Country Store, because this all-you-can-eat-buffet has plenty to offer. The buffet features southern comfort food done right— favorites like mashed potatoes, greens, and cornbread make perfect sides to what Mr. D claims is the “World's Best Chicken.” Take one bite and see if you don't agree! This cheerful yellow-and-brown building is unassuming, tucked away on Menge Avenue in Pass Christian, where it was rebuilt after Hurricane Katrina destroyed the original location. Locals know it's worth the drive, though—if you can pass up the temptation for a fried shrimp or oyster po'boy, the roast beef is one of the best sandwiches in town! The White Cap is a laid-back, cozy seafood restaurant overlooking the beach in Gulfport. For the best views, sit on the deck. Try to make it in for lunch to try a crabmeat sandwich, or come in for dinner to enjoy the char-grilled oysters and Spicy Shrimp Creole. If you ask for dinner recommendations in Biloxi, chances are it won't be long before someone brings up Mary Mahoney's. This elegant fine-dining restaurant has been a beloved Coastal institution for over fifty years. The website tells the history of the original building, a home built in 1737—nearly 70 years before the area joined the United States as part of the Louisiana Purchase. Enjoy a fine steak dinner and be sure to try the gumbo—it's world-famous! Bozo's Grocery and Grill is a casual restaurant in Pascagoula specializing in fresh seafood and fish, but what they're really known for is their enormous portions. Grab a shrimp po'boy and try to hold on as seafood spills over the sides of the fresh French bread. This family-friendly restaurant is sure to be a hit with the kids!